Focus on your core strength and balance this week. We’ve arrived at Week Three of Be Well’s Workout of the Week series. With this third week, you’ll notice a progressive change in difficulty from Week One and Week Two. The workouts transition from basic to intermediate in difficulty. To guide us through this 10-week series, we recruited Equinox Highland Park‘s Seamus Dooley, who manages the gym’s elite Tier 4 personal training programs. Always consider nutrition and recovery. To maximize the program’s potential, pay attention to smart nutritional guidelines and make sure to recover properly by getting enough sleep and hydrating. Week Three’s moves continue to focus on mobility, stability, lower body movement, and upper body movement. This stretch hyper-focuses on the hips, which is essential for all workouts from yoga to running. Dooley says this is an ideal hip and upper body mobility pattern. It is a progression from Week 2 as we have added the upper body rotation. Dooley says it’s important to be able to rotate through the hips and thoracic spine. 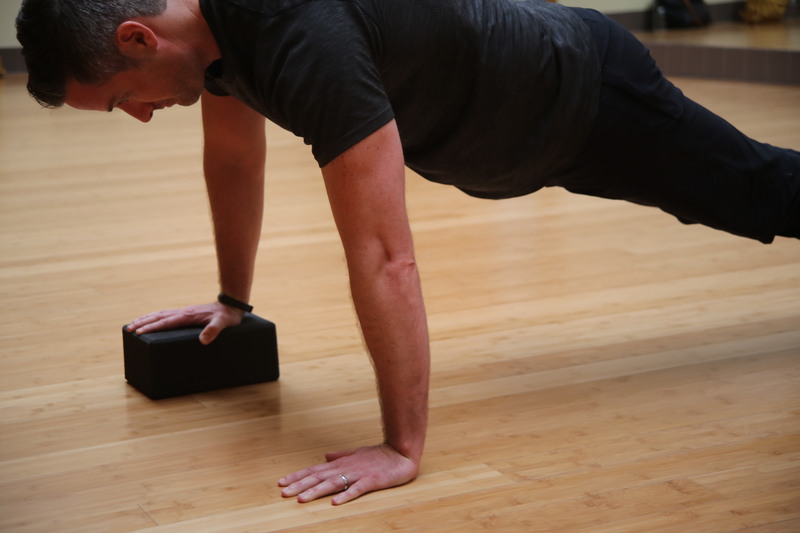 If you’ve ever attended a workout class, you’ve probably been asked to execute a side plank. This side plank is a more advanced version of the traditional plank used in last week’s workout. On each side, your shoulder will stabilize the entire upper body. Regardless of how long you decide to hold the side plank, be sure to balance out on either side so you’re even. Work toward a 30-second hold for Week Three. The third plane of motion is the transverse plane (also known as the rotational plane of motion). With this exercise, Dooley has us rotating to one side of our body. One hip will rotate while the other side of the hip will remain stable. Place the weight of your body to the rotation side and push off from that side as well. Dooley cautions that this movement requires quite a bit of focus from your central nervous system. (It’ll take some time to master.) Again, remember to line up your hips and shoulders, push your hips back and drive through your heels. Do this movement on both sides of your body. Dooley challenges us with a tough progression from Week Two’s pushup. By placing the hands in a non-uniform position, we are requiring the upper body to stabilize more. Have fun with this move by consistently changing the position of your hands with every press. To complete the rep, you may discover you require more strength from one side of the body than the other. Challenge your weak side to work just as hard. Just as in Weeks One and Two, Dooley says you can make the workout more difficult by increasing the amount of time you go through the circuit. Always aim to increase your reps and resist remaining stagnant, and be sure to hold each movement longer. For example, if you held your plank for 45 seconds last week, aim to hold the side planks for one minute on each side for Week Three. Even if it’s just a few seconds, always progress each week. And, of course, with each week’s progression, more reps are always welcome if you feel that the progression isn’t challenging enough.